Fahrenheit 451, the temperature at which book paper catches fire and burns, is Ray Bradbury’s “novel of a strange and weird future” depicting a dystopic futuristic society where books are prohibited, and if found, incinerated due to their subversive effect on the public. 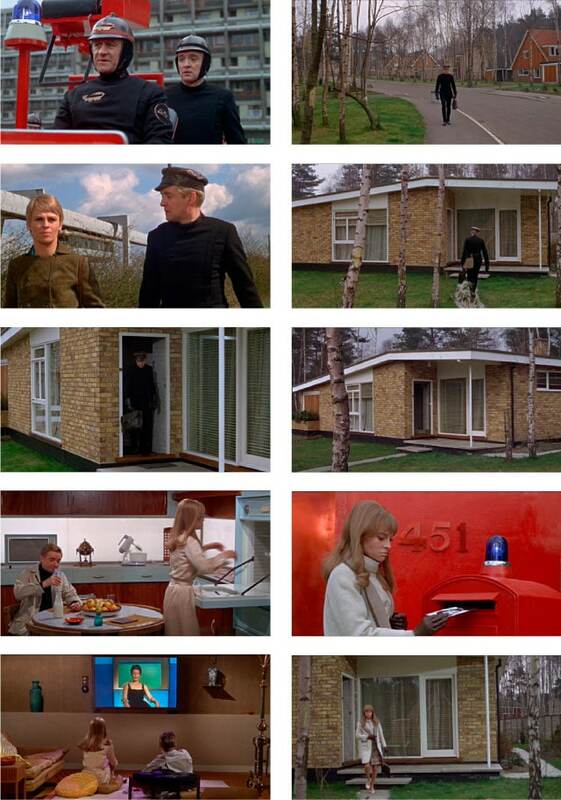 Eminent cinematographer, François Truffaut chose Edgcumbe Park and its Type 60 Bungalow to represent the dwelling of the future for the story’s rebel fireman, Montag, in his 1966 critically acclaimed film dramatisation of this cult novel. 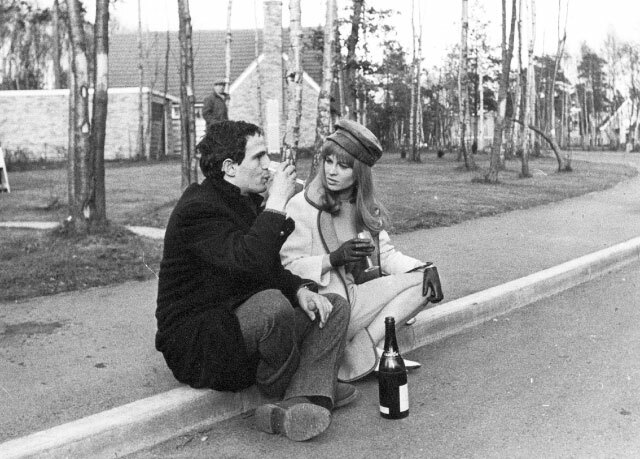 François Truffaut and Julie Christie enjoying a glass of champagne on Linkway, Edgcumbe Park, after a day's filming on the set of Fahrenheit 451 in 1966. Stills from the motion picture, beginning with stars Cyril Cusak and the story’s heroes Montag (Oskar Werner), along with co-star Julie Christie in her two parallel roles. Stills show Montag and Linda at their Renway Type 60 bungalow on Linkway, Edgcumbe Park, which Renway modified specifically for the film (note the position of the front door, blocked-in garage door and loss of the driveway). This property is sadly now extended and renovated to be almost unrecognisable from that seen here.